An airport-friendly web belt with our patent-pending, non-metallic, low-profile buckle. Also available in 1.75" width, see separate product listing. This belt is amazing. I work in a correctional facility. Not only is it non-metallic ( like others already pointed out) but it can hold up some serious weight without stretching. Worth every penny. Amazing. Love it. Glad I don't have to take off my belt going through the metal detector at work. I like the belt the because you don't have to take it off when you go through metal detectors. Practical and easy of use. A perfect fit Very durable. 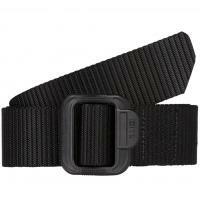 Works great as garrison belt when wearing an outer nylon duty belt.